Recently I've learned that even I can keep plants alive and I've been on the hunt for some pretty new planters to mix in with my vintage collection. 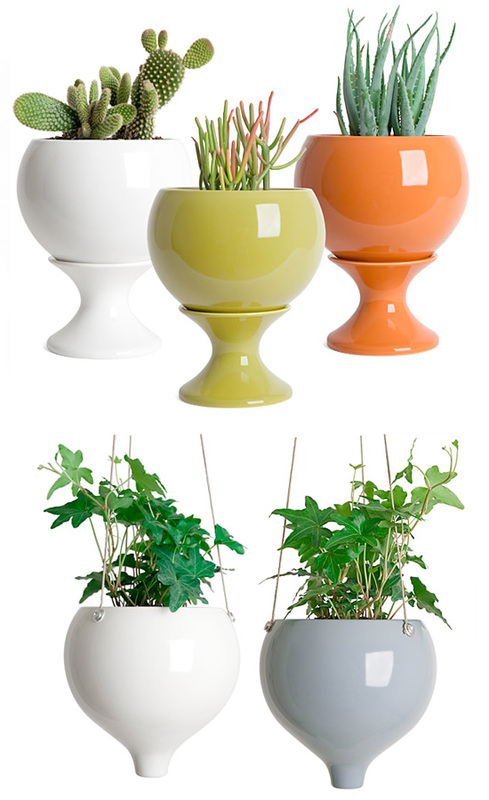 Aren't these new stoneware hanging & tabletop planters from J Schatz lovely? They're available in several gorgeous hues which makes the decision making process very difficult. Help! Handmade in their NY studio since 2004. I'll be in Deep Cove tomorrow. Hmmm. Think I have to pop into Room 6! these planters are beautiful.